Social media marketing is no longer a niche or novel idea. Building up a company’s profile page, linking with customers, and sharing content are all accepted as necessary in order to better establish a brand identity and reach out to old and new audiences alike. Social media for small business is especially important since these companies often lack strong, solidified brand identities and may still be trying to get their foot in the door. While it is true that social media for local business can be an excellent way of attracting customers, social media marketing is tricky and it shouldn’t be attempted with unreasonable expectations or poor knowledge. Whether you outsource your social media work or do it all in-house, try to keep the following points in mind to keep yourself grounded and to have a better understanding of what is required for effective outreach. One of the biggest appeals of social media is that there are almost no barriers to entry. You spend a few minutes filling out some information and then bam—instant account. Afterwards, you can chat, share, and post without paying a fee. Although using social media doesn’t cost you anything financially, taking advantage of these platforms for marketing requires a significant time investment. Being on top of social media marketing means keeping a finger on the pulse of your targeted communities, staying engaged and responsive, and posting a regular stream of content that other people want to share. These are time-consuming but necessary tasks that need to be taken on if you wish to make social media work for your small business. It can be a good defensive strategy to create business pages on every social media platform you can, but things get trickier when it comes to deciding which platform you should actually focus your attention and efforts on. Every social media platform is different in terms of demographics, audiences, functionality, structure, and viability for various marketing strategies. Trying to split your attention across every platform will either run you ragged or just result in shallow efforts all around. Narrowing your scope to two or three platforms that work best is a good way to make social media marketing work for you. One of the basic ideas behind social media marketing is that if you post high-quality content, it gets shared and attracts attention to your brand and business. While this is true in the general sense, the unspoken caveat is that none of this happens organically—at least at first. Social media isn’t a search engine and won’t automatically put your content in view of strangers. Even the best content starts out in a vacuum on social media. In order to get the ball rolling, you need to make an initial push to get people viewing, talking, and sharing. The number of followers or likes you get can be a useful (if surface-level) metric to determine how well your various social media marketing campaigns are working. However, you should never forget that the end goal of using social media for your small business is to attract people to your main site and convert them into clients and customers. You can get all the followers you want, but unless your efforts on social media are drawing things like click-throughs, you may not be getting the results you really want. Quality matters when it comes to followers as well. Passionate, engaged followers are more meaningful than quiet throngs that click “follow” and move on. Looking at the raw numbers is still important, but you should always remember that they aren’t an ultimate measurement by any stretch. No matter how you slice it, social media is big. Facebook has over one billion active users, Twitter has 170 million, and Google+ has 100 million. 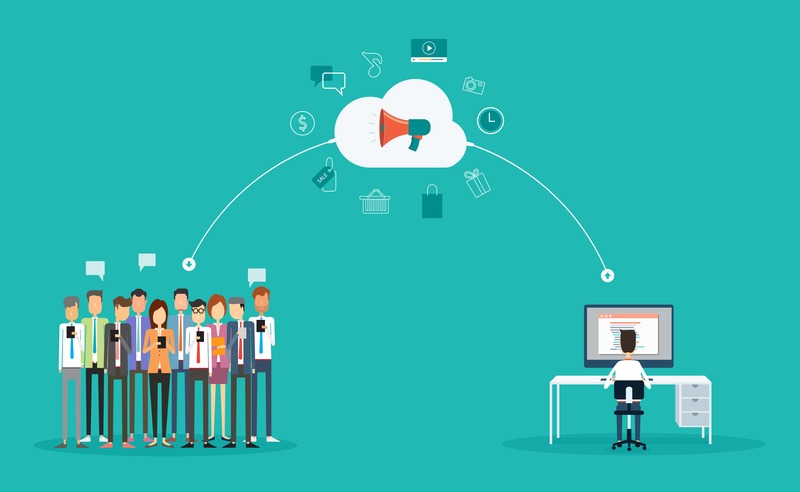 These platforms are popular and are designed to facilitate communication, so they are excellent vehicles with which to connect with audiences and draw people to your brand. Roughly half of all companies that use LinkedIn, Facebook, or Twitter in their marketing have gotten customers from social media, and Twitter specifically is tied to generating twice as many leads. Can you get by without social media? Possibly, but you’ll also be shutting the door on very real and significant opportunities to harness social media for the benefit of your local business. Keeping up on your social media posts is important for marketing, but so is actually paying attention to what else is happening on these platforms. If you aren’t reading comments, responding when appropriate, listening to negative feedback, or otherwise showing actual engagement with your audience, then you aren’t going to see benefits. This doesn’t mean you need to keep your eyes glued to the computer screen and refresh the page every few seconds, but it does mean that you have to take some steps to stay abreast of what’s happening online. Social media monitoring software lets you optimize the process so you can stay on top of current events without making it into a 24/7 task. Having engaging conversations with various communities is a big plus on social media, but it isn’t the best measurement of success in all areas. People digest different types of content in different ways, and just because something isn’t generating a visible response doesn’t mean it isn’t helping you. Conversations are useful and important, but so is, for example, sharing quality content. Such a page might not trigger a lot of chatter, but just because people aren’t talking doesn’t mean they aren’t reading. 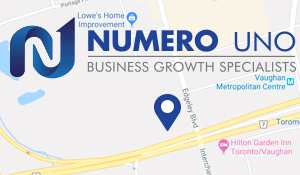 Numero Uno Web Solutions is a premier provider of search engine optimization and social media marketing services for businesses of all shapes, sizes, and industries. Our strategies take into account both the latest developments in SEO and web marketing research along with tried-and-true approaches. Our precise, studied methods have benefited Toronto businesses along with industries across Richmond Hill, Vaughan, and more. Our success has even allowed us to extend our reach and offer SEO services to Texas, Massachusetts, and Florida. For any business looking to outsource social media marketing and improve their online presence, we are just a call away at 1-855-SEO-XPRT.